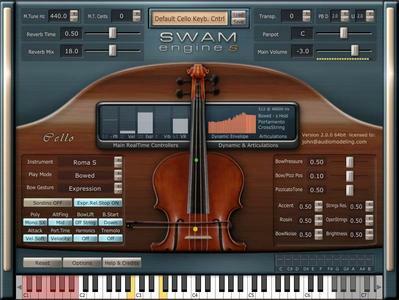 One of the most expressive and realistic Cello on the market. Based on our proprietary SWAM-S engine, a powerful Physical Modeling technology derived from the Digital Waveguides approach. SWAM-S stands for Synchronous Waves Acoustic Modeling - Strings. Differently from SWAM, sound is generated by pure Physical Modeling, so there are no samples at all.